Olu-designate, Prince Godfrey Kenwoli Emiko, was on Saturday at Ode Itsekiri (Big Warri) crowned as the 20th Olu of Warri and assumed the royal title of ‘Ogiame Kenwoli’. 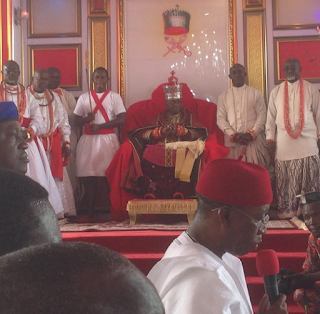 The Onolaja of Ijakpa and head of the Ologbosere family crowned the new Itsekiri king, placing the 404-year old diamond crown on prince Godfrey Emiko’s head. The same diamond crown has been won by successive Itsekiri kings (Olu’s) since 1611 A.D. though the first Itsekiri monarch, Ginuwa, was crowned about 525 years ago. 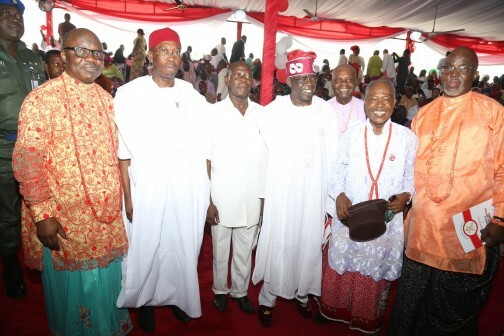 The occasion attracted the who-is-who in Itsekiri Kingdom as well as personages that included former Lagos governor and All Progressives Congress Chieftain, Asiwaju Bola Tinubu; Governor Ifeanyi Okowa, Governor Adams Oshiomhole, Second Republic vice-president, Dr. Alex Ekweme and his wife, ex-Delta State governor, Dr. Emmanuel Uduaghan, Christian Association of Nigeria (CAN) President, Papa Ayo Oritsejafor, ex-Kano State governor, Rabiu Kwankwaso, Minister of State for Petroleum, Dr Ibe Kachukwu, Vanguard publisher, Mr. Sam Amuka, and Senators James Manager and Ighoyota Amori. 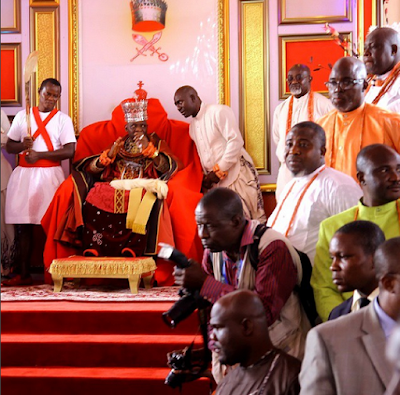 The Ooni of Ife, Oba Ogunwusi Enitan, whose coronation took place least than one week ago, was among the dignitaries at the glorious ceremony. 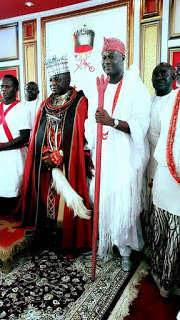 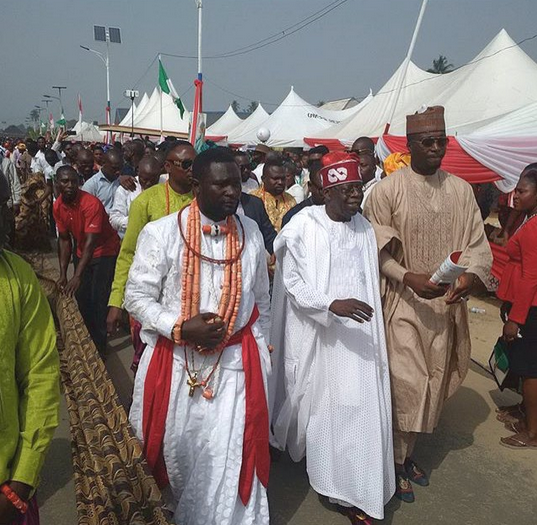 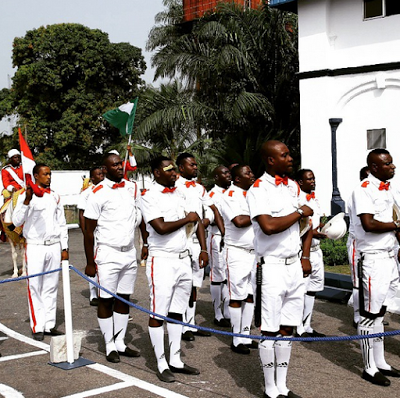 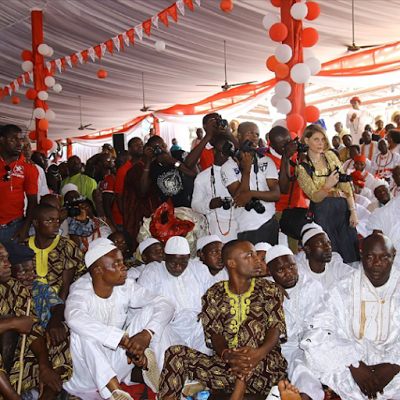 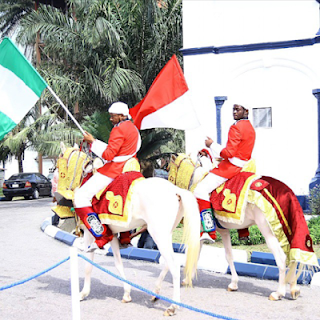 While expressing his desire to see youths in Nigeria receive a better lease of life from the respective governments, the Ooni noted that he made every effort to attend the ceremony as his first official outing because of the strong relations the Itsekiri Kingdom had had with Ile-Ife which dates back centuries. 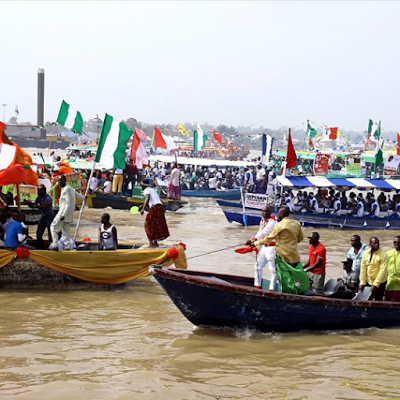 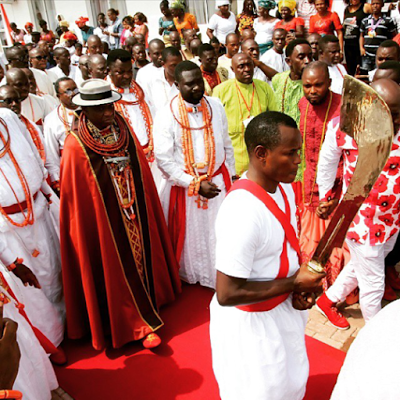 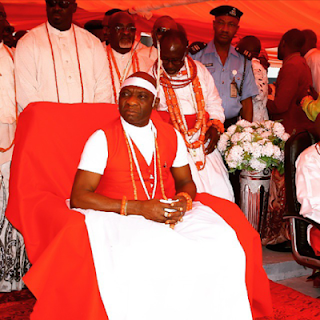 The highpoint of the ceremony, which began at about 10.30am with a colourful regatta with boats representing the different Itsekiri Communities and families, was the crowning of the new Olu of Warri.